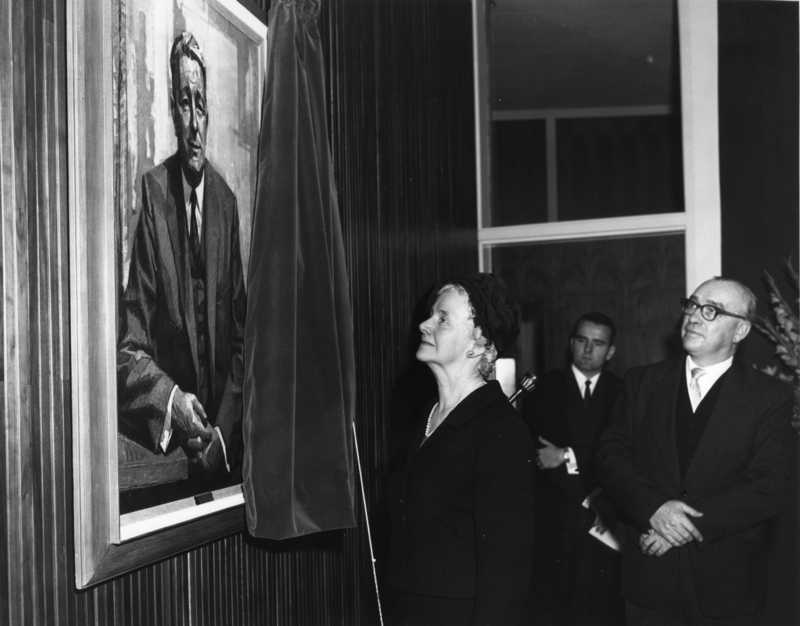 Item is a photograph of the unveiling of Sidney E. Smith's portrait. Sidney E. Smith was the Dean of Law at Dalhousie from 1929 to 1934. Photograph shows Mrs. Smith and an unidentified man unveiling the portrait at the opening of the Weldon Building in 1967.